He was born in Tapolca. In 1785, he published his first work, a patriotic poem, "The Valour of the Magyars". 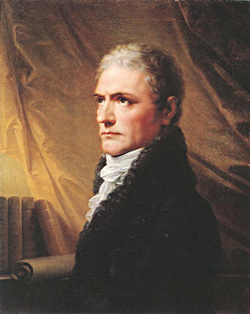 In the same year he obtained a job as clerk in the treasury of Kosice (now Slovakia, at that time Hungary), and there, in conjunction with other two Hungarian patriots, edited the Magyar Museum, which was suppressed by the government in 1792. In the following year he was deprived of his clerkship and in 1794, having taken part in the conspiracy of Bishop Martinovich, he was thrown into the state prison of the Spilberk, near Brno, Moravia, where he remained for two years. After his release, he took a considerable share in the "Magyar Minerva", a literary review, and then proceeded to Vienna, where he obtained a post in the bank, and married. In 1809, he translated Napoleon's proclamation to the Hungarians, and, in consequence of this anti-Austrian act, had to take refuge in Paris. After the fall of Napoleon he was given up to the Austrians, who allowed him to reside at Linz, on condition of never leaving that town. He published a collection of poems at Pest in 1827 and also edited the poetical works of Anyos and Faludi. Original text from the 1911 Encyclopedia Britannica.